You never know when your mind would demand apause from the busy life. Be ready to entertain the demand with Santa FeFull Flavor Filtered Cigars that promise extremely pleasing tastes andaromas with every puff. We have been offering the popular flavors from therenowned brand Santa Fe to our esteemed customers. Choose the Full Flavor or any other versionand we ensure that you pay only the best prices. 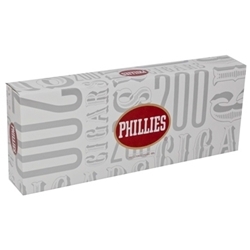 Place your order hassle-freeand grab your pack of cigars without waiting for long. In order to take a quick break from the hustle and bustle of life, light up and enjoy these Santa Fe Full Flavor Filtered Cigars from Swisher. Never mind, the fact that they are little, they re HUGE on flavor. So, enjoy Santa Fe Regular Filtered Cigars sizzling smooth smokes and make your breaks seem even more enjoyable.